Sometimes it’s magical. Nature just enfolds visual delights constantly, and if you are lucky and talented you can capture one of these special moments. 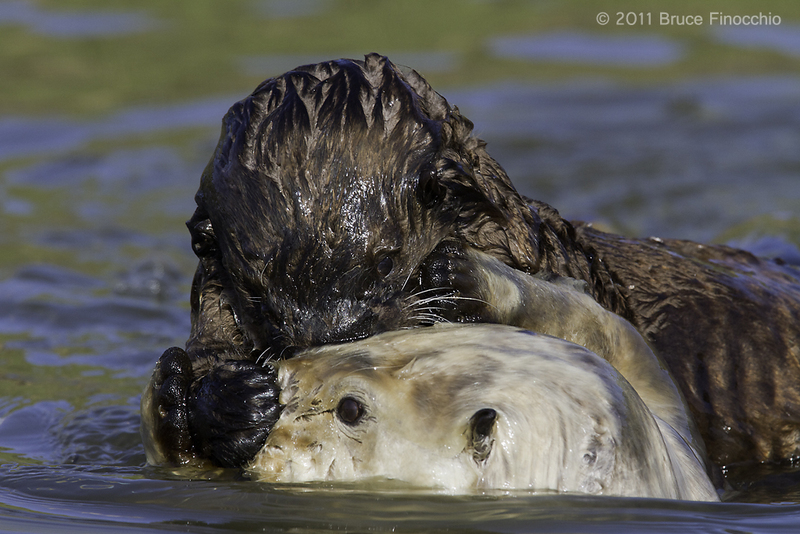 What a great day I had last Thursday, at that special place for Sea Otters: Moss Landing and Elkhorn Slough. My photography friends and I were greeted with a nice sunny day, an unusual occurrence of late with the winter storms that have been coming into the West Coast in waves. Viewpoint is a critical component, getting low and down into the sea otter’s visual world makes a big difference in the final image. Luck, talent, and patience too, especially patience to wait for the right moment, goes into creating a provocative image. Even more than these attributes; it is about having a special spiritual feeling for a place or the animal you are photographing. It’s really all about love! I would get lost in a day taking photo’s like this! Outside, I would loose track of time and probably get angry when the sun faded away! Your photos give such insight to the wild world! Love it Bruce!!! !